August 1st is almost here and we are excited to see everyone! Make your plans to stop by anytime and view the cattle in the 2012 Schaeffer/Tice Pasture sale. Bids close at 6:00 pm on Sunday, September 9th. Any questions, feel free to call Tim at 765.541.0738. Check back later this week for more pictures of sale cattle. Hope to see everyone at the Indiana State Fair! Don't forget to like us on facebook at Schaeffer Show Cattle and follow us on twitter at tssc121. Check back later this week for more updates! Here at Schaeffer/Tice we are quickly approaching our 2012 September Pasture Sale. We are very excited as we have started working on this years set. We are more than pleased with the calves we have and can't wait for you to starting viewing them. Don't miss out! 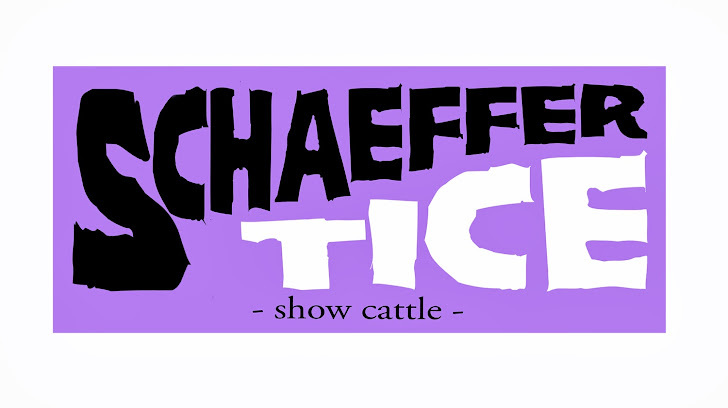 Make plans to stop by Schaeffer Show Cattle anytime starting August 1st and view this years sale set. Viewing and bids close Sunday, September 9th at 6:00 pm. This year there's only one answer and it's Schaeffer/Tice. Good luck to all of our customers at your state and county fairs.